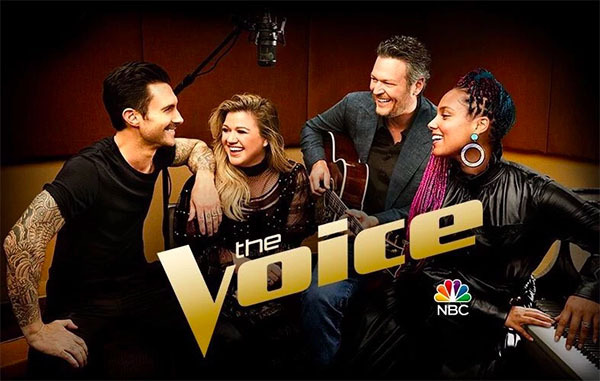 The Voice Season 14 Battle Round continue tonight Tuesday, March 20, 2018 on NBC 8/7c. In the Battle Rounds, the coaches pit two of their own team members against each other to sing the same song together in front of a studio audience. Each coach has two steals available during the Battle Rounds. Keep locked on this page, recap and videos will be added below. Jorge Eduardo vs Amber Sauer “Starving” by Hailee Steinfeld. The winner of this battle is Jorge Eduardo, no steal for Amber Sauer. Reid Umstattd vs Davison “Love On The Brain.” The winner of this battle is Reid Umstattd, no steal for Davison. Jordyn Simone vs Kelsea Johnson “Don’t Let Go.” The winner of this battle is Kelsea Johnson. Its a double steal for Jordyn Simone. Jordyn picks Adam as her new coach.